The Department of Medicine at the University of Toronto is one of the oldest departments of its kind in North America, dating back to the founding of the School of Medicine in 1843. A major milestone in our history was the establishment of the Sir John and Lady Eaton Professorship of Medicine in 1919; the first endowed chair in clinical medicine in what was then the British Empire. Now, the Department of Medicine is one of the largest in North America, with 800 full-time faculty members, 1,000 postgraduate trainees, and 20 sub-specialty divisions located across six fully-affiliated hospitals, four community-affiliated hospitals and more than a dozen additional clinical practice sites. One third of Canada’s, and one half of Ontario’s, internal medicine specialists received their training here. 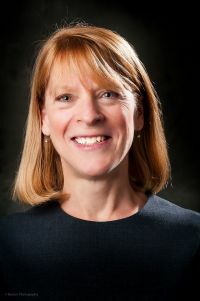 For more information about Gillian Hawker, Sir John and Lady Eaton Professor and Chair of Medicine, her biographical sketch is available here.